Preparation instructions: Heating Directions: Pour contents of this can into a double boiler and slowly blend in 1 can of whole milk. Heat to serving temperature, stirring occasionally. Do not boil. For best results, maintain proper serving temperature of 160 to 180F. 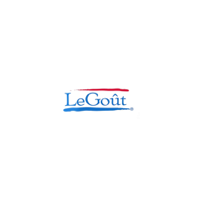 A solution for the busy Chef, LeGout is a convenient partner in creating versatile recipe solutions.